This blog post intends to explore the issues of women’s imprisonment in England, Wales and Scotland. It is written by an ex-prisoner who identifies as a woman. It is part of a series of blogs that are a call to arms for people to participate in the upcoming Week of Action against the Prison Industrial Complex in April. Women, specifically women of colour, are the fastest growing prison population across the world . 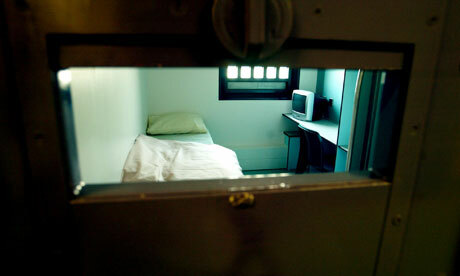 Between 1993 and 2005, the number of women in prison in England and Wales nearly trebled . There are now around 3,889 women in prison in England and Wales  and 373 in Scotland . 41% of these have entered custody for theft and handling stolen goods . 66% of women reported committing offenses to buy drugs and nearly half of women in prison reported having committed offenses to support someone else’s drug use. More than half of women in prison report having experienced emotional, physical or sexual abuse during childhood, a third have spent time in care as a child, and just under half report having suffered domestic violence. My own personal observations in the 21 months inside is that these statistics are totally out of whack – I didn’t meet a single person in jail that wasn’t a survivor of some form of abuse perpetrated by a man. It doesn’t take a social scientist to see how these are related to poverty and patriarchy. A statistic emerged in 2010 that more than 17,240 children were separated from their mothers by imprisonment. Only 9% of mothers who are in prison are cared for by their fathers, most are either with grandparents or other female relatives, or in Local Authority Care. The effects of mother-child separation is well documented, the harm it causes is indescribable. Author and activist Karlene Faith writes how it is primarily women living in poverty that are most vulnerable to state expropriation of their bodies. 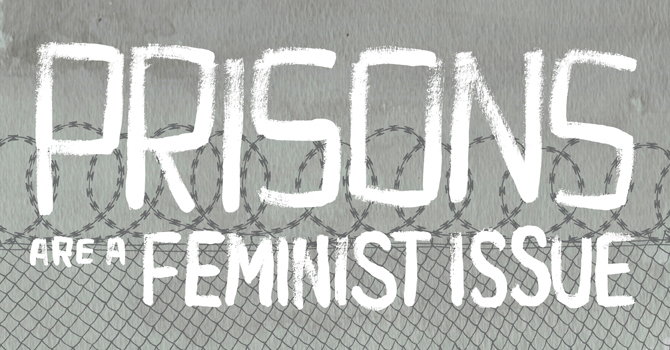 Women in prison face the constant battle with authorities for self determination over their own bodies. Chemical pacification is how modern institutions are managed. Women have been silenced with tranquilizers and psychotropic drugs and that physicians and psychiatrists have been yet another coercive arm of the custodial staff . If its not prescribed, then contraband drugs are the economy inside. You barely pass a day without hearing about ‘legal highs’ in prisons. Prisons are rife with drugs. Drugs are a means to escape the reality of being in a cage and coping with the psychological impacts of abuse. Mental health challenges are endemic. In the language of psychiatry (something we also hope to critically explore at the Gathering), 25% of women in prison reported symptoms indicative of psychosis. 49% were assessed as suffering and anxiety. Living in violent institutions, self control is often executed through self-harm. Recent statistics on ‘safety in custody’ in England and Wales show that female prisoners are more likely to self harm and at a higher frequency. In the year to September 2015, 30% of female prisoners are estimated to have deliberately harmed themselves (compared to 10% of men). With an average 6.4 reported incidents per self-harming prisoner, compared to 3.0 for men. Self harm is one of the most vivid memories I have from prison. Bandaged arms were a common sight, ligature attempts and suicide threats were daily occurrences. A close friend who is an IPP (she is serving an indeterminate sentence, see more about IPP prisoners here), who is the most brutal self-harmer I have ever met, will cut her own throat, millimeters away from her veins, as a way to release the frustration and anger inside her. Some of the most haunted parts of my psyche are images of her stitched up neck. Her probation officers warn her that she won’t get parole if she keeps self harming, despite it being a coping mechanism of a lifetime. So she’s in a catch-22, trapped in prison, frustrating building on a daily basis with little other tools to express her feelings. With cuts to staffing, private companies running prisons cutting corners, prisoners are being banged up for longer. 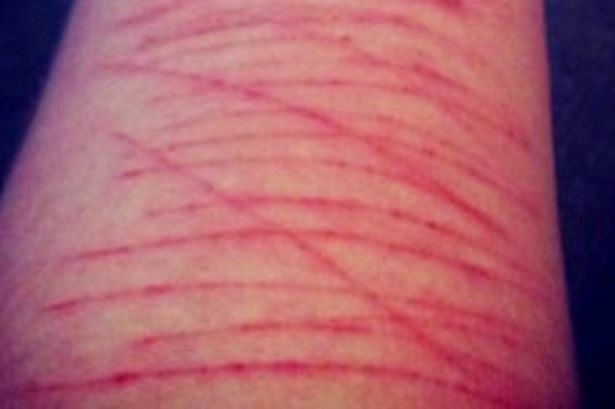 Rates of self-harm have increased by 13% in the last two years alone, with women accounting for 26% of the incidents, despite being on 5% of the prison population. More than 1,749 people were hospitalised. 46% of women prisons have also reported having attempted suicide at some point in their lives (in the general population its 6%). While this blog post may feel like a maze of statistics, what is really clear is this – the state is locking up our most vulnerable, abused women, for crimes mostly relating to poverty and survival. Those that fight back, by killing their abusive partners, or forging passports, or defending themselves in the streets, face life in violent institutions run by and for men. And more sickeningly, our sisters inside are increasingly locked up so that private companies can make a buck. 13. Faith, Karlene. Unruly Women. Vancouver: Press Gang Publishers, 1993. Print.